Over the years, Halloween has changed in the way we celebrate with kids. As a grandmother, I remember pretty much freedom circa 1950’s, when I went “Trick or Treating” with friends in our very large sprawling Yonkers, New York apartment complex still known as Glenwood Gardens. So much was different! Seven six story buildings were connected by a winding basement which became our Halloween parade route. All in all we fearlessly rang the bell of about 108 apartments and collected candy from almost everyone. Sometimes we would have to go back home to empty our stash so that we could go back out and collect more. This weekend begins the Halloween celebrations so get ready to see costumed adults and children trick or treating at your door on Monday! Here are my reading picks to keep the holiday a happy one for kids and parents! 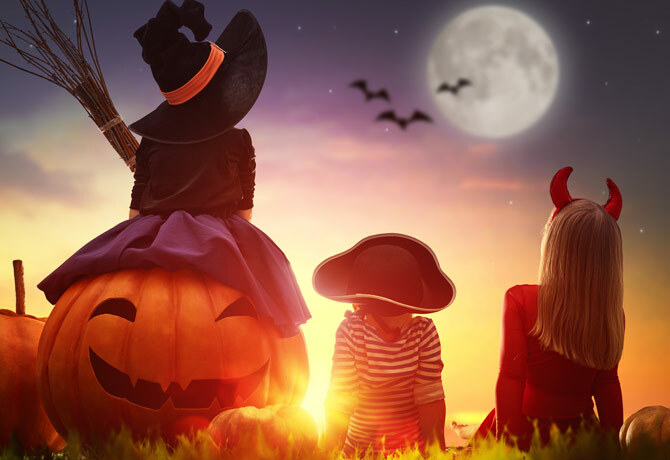 Halloween is a time for fun and exciting costumes, trying to scare others as well as getting to go out trick-or-treating with your children, but as your children get older, around 4 years of age (from my personal experience) it is time to talk about dealing strangers. Here’s some tips for talking to your child about strangers and staying safe on Halloween. If you see a Teal Pumpkin this weekend it means that the treats given out will be okay for kids with food allergies. Teal pumpkins have become the symbol of food allergy awareness at Halloween. 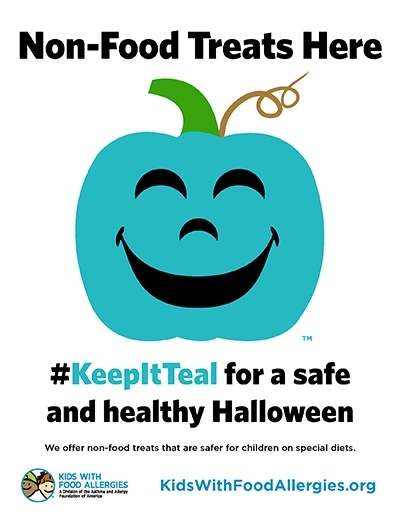 When you see a teal pumpkin, it means that non-food treats are available for kids with food allergies or other dietary restrictions. We will watching the World Series what about you? This entry was posted in Uncategorized and tagged weekend by llpitlwp. Bookmark the permalink.